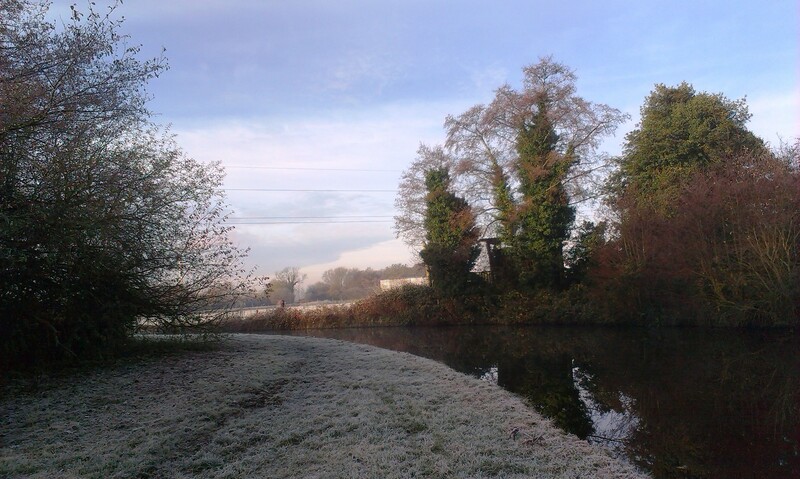 The swim was baited with worm and small luncheon meat cubes (ca 3-4mm) that had been marinated in ‘Liquid Worm’ – and also an area in mid-canal (the boat channel) was also similarly baited as a fallback option. 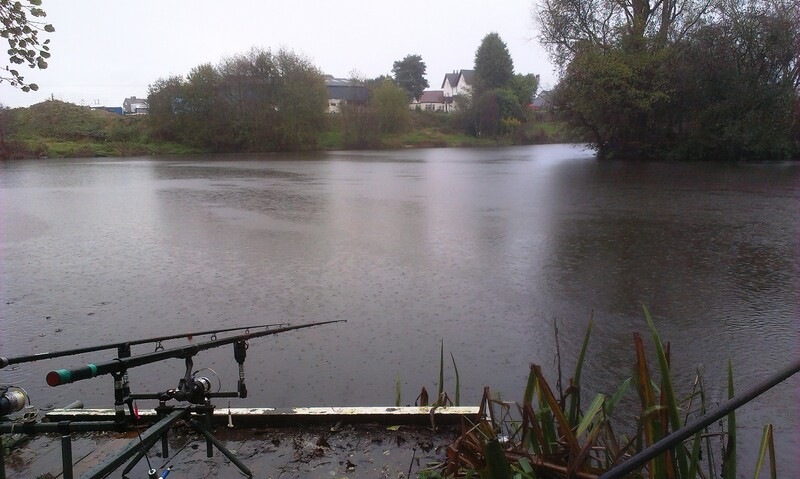 Fishing set up consisted of a running 1/4oz lead on a 4” link stopped about 12” from the size 12 barbless Kamasan Animal hook – 6lb line straight through – Grandeslam Des Taylor System 3 Avon rod. Bait for the day was worm, worm/maggot cocktail and luncheon meat as fed. First cast made at 0840. For the first three hours there was little action on all baits that were swapped around from time to time and bush and channel areas were tried – just one quick tug on maggot/worm around 0930 a few minutes after the first of two passing boats during the morning went by from the far bank swim. Following this boat’s passage a slight drop of water temp was noted (from 7.7 to 7.3) probably due to the water disturbance. Over the next hour (0930-1030) the air temps rose quickly to 2.3C – not steadily but it rose by over 1C over the course of 10 minutes at one point and then remained steady only to have another period of 5 minutes when another 1C rise was noted. 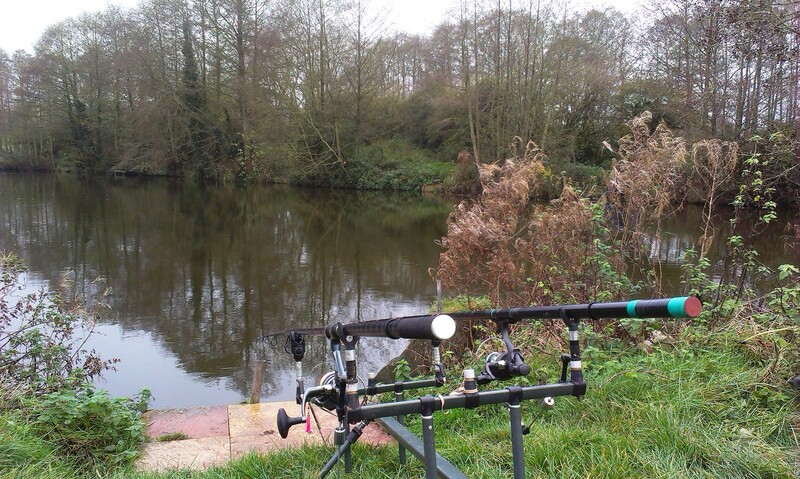 Sunday 23rd November saw me back at the pike pool again with the usual result – a blank! I fished from just turned 0900 until 1400 starting with the usual popped up herring/sardine and floatfished ‘sprat tree’ but unlike the previous couple of sessions I did have a bit of adrenaline coursing through my veins at around 1300 after a bait change earlier on the float rod from the sprats to a single smelt and then a depth change from the 4ft setting I’d been using (water sloped down from 4ft at the bank side to around 11ft further out) to around 6ft. First cast after changing depth and the float after a minute or two started bobbing about, however this happened for about 30 seconds and then stopped… and then when re-casted it happened again… and again… and again … and I decided to strike on the next cast, did so, … and nothing – but whatever was out there had decided the smelt was too dodgy now and no more bobbing occurred. Talking to Liz at home later we decided it was most likely a chub sucking the guts of the smelt’s slightly burst stomach… she had had a similar experience a few weeks earlier and then eventually connected with a chub. 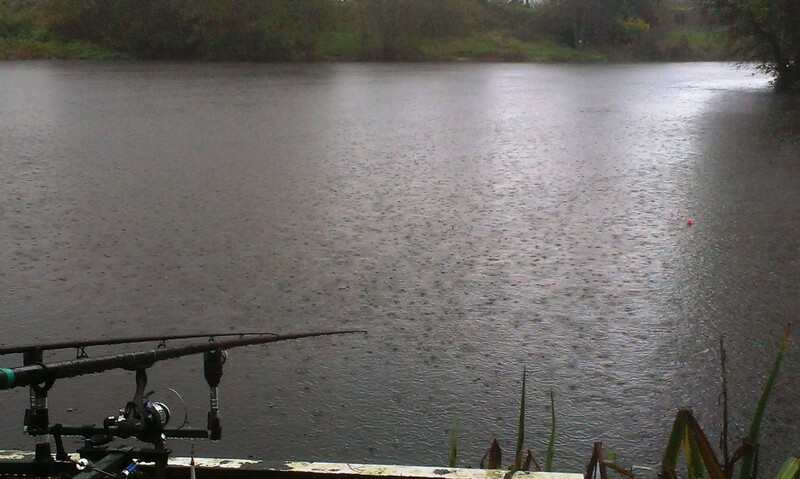 Also a few other chub have been taken on deadbaits intended for pike from bankside conversations. Big Trout Fishing Peter Cockwill Hamlyn 1st Edition. Ex-library. Fishing Gareth Purnell, Alan Yates and Chris Dawn Pelham? H Box set of 3 books – A Guide To Sea Fishing, A Guide To Coarse Fishing, A Guide To Fly Fishing. Fishing At A Glance Frederick Cowburn Pelham Books H 1967, 1st Edition. Midland Angler (Feb ’57-Dec ’60) H Bound copies of the monthly magazine. 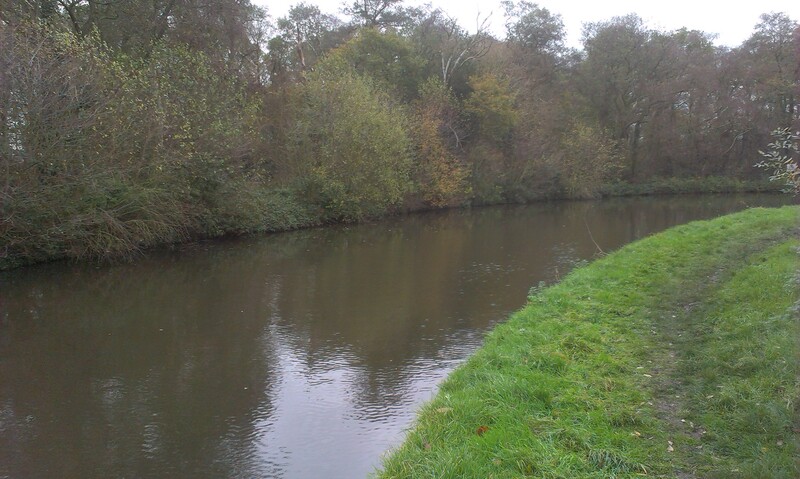 Tuesday 18th November and I’m on a stretch of the Staffs-Worcs Canal that is administered by Wolverhampton AA…. A beautiful morning with air temps around 10-11C. And can’t be more detailed on that as I had the thermometer problem of the impossibly high water temperatures being shown YET again … and overall the day was not without its other annoyances as I will describe…. First annoyance… driven 1 mile down the road, just about in front of the main traffic heading into the city to work and so the way ahead reasonably clear, when I realise I’ve left my bait bag with ALL my baits in at home! Thus I had to ‘U’ turn and head back to collect them and restarting the journey I was then caught right in the middle of the brunt of traffic meaning it took me almost 45 minutes to get to the other side of town and on the clearer roads – normally 10-15 minutes would have done that. 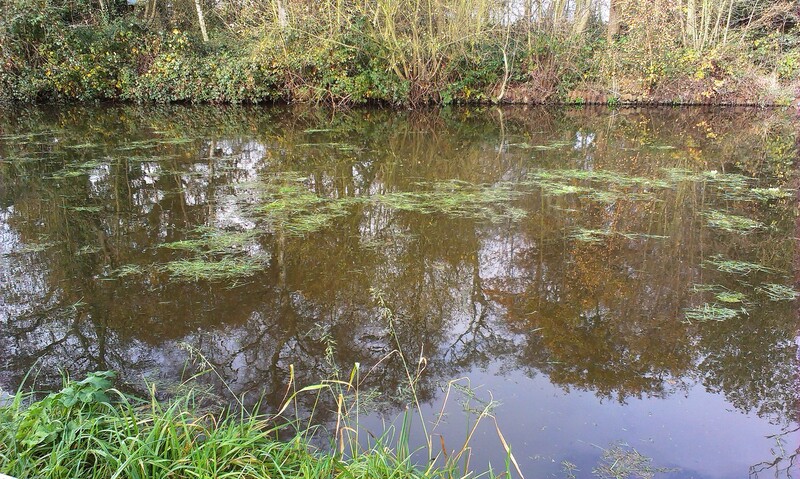 And I elected to fish over to the far bank near overhanging bushes as can be seen in the last of the above pictures. Second annoyance: The thermometer probe was dropped into the canal and registering around 9-10C… but a minute or so later this had risen to the high 30s and increasing… so pulled out and put away. A few catapults of dead maggot were catapulted over the far side pre-setting up the station and tackle and this was supplemented from time to time with extra ‘pults full. 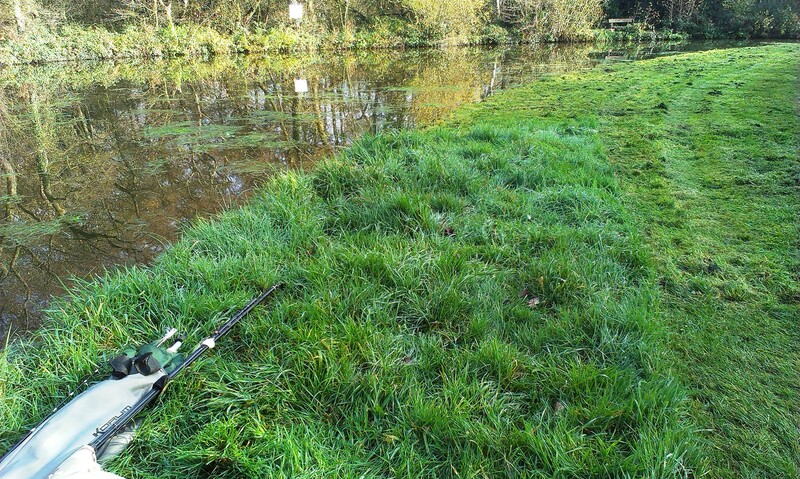 The tackle was set up – Des Taylor System 3 Avon rod with the quiver top section in place – 6lb line to a quick change link on which sat a size 12 Kamasan Eyed Barbless Animal hook on 4” 6lb braid hooklength and the setup completed with a free running link leger with a 3/8oz Arseley bomb stopped about 12” up the line from the hook. The first cast being made at 0900 baited with worm (Dendrobaena aka dendro). Third annoyance: throughout the whole session I was jinxed with wrap-overs of the hooklength around the line above – even when I removed the quick link and just tied the hook directly to the mainline and despite feathering the line on the cast, etc. The fourth, and most annoying, annoyance: I hear the sound of petrol engines approaching and look round and coming up the bankside are a couple of Canals and River Trust guys with petrol mower and strimmer absolutely decimating the the bankside and destroying the natural flora and habitat of the fauna… Now, where I was, water to the hedgerow behind was a good 20-25 feet and the WHOLE area was subjected to the strimmer/mower attack leaving the area looking like a golf course green almost. In my view, there is ABSOLUTELY NO NEED to perform such desecration at all – and at most a 1 metre strip for walkers is the absolute most that would be needed but then again if there were enough walkers to warrant that then purely by their passage and re-passage the path would be naturally defined. 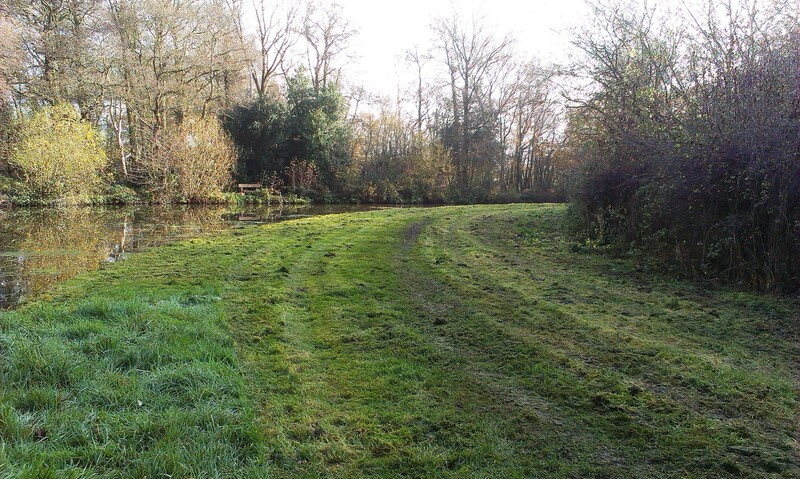 And boats mooring can easily trample down a path from their boat for ingress/egress easily enough – and this would repair itself within a day or two of them leaving the spot. Got no money for police or for the NHS we are told and yet there seems plenty to waste for the C&RT to cut grass in a rural (lightly frequented) area and to do so in mid-November when everything is dying back anyway. Institutional vandalism I call it!! 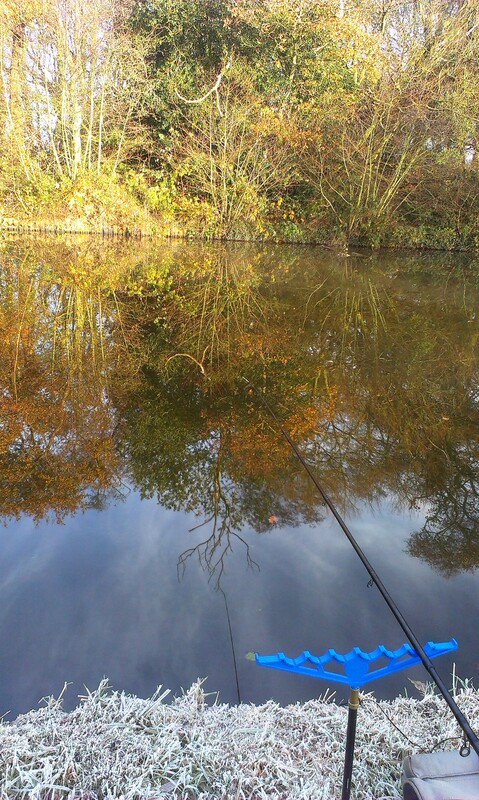 Anyway, I sat my ground and the guys had to work round me and my tackle – as per photos! Compare earlier photos to the ones below. Anyway, they eventually left the area and peace and quiet returned – a few boats passed but far from annoying, at this time of year anyway, I find them quite an asset with their stirring of the waters and washing up the bottom mud along with the aquatic fauna (aka food) which can entice the otherwise lethargic fish into activity. 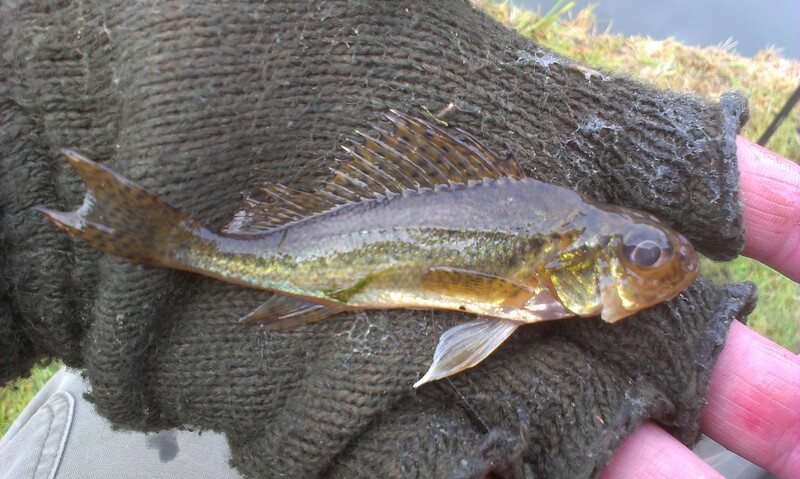 Anyway, I finished the day at 1300 with one other fish having been taken on a worm/maggot cocktail – a perch of around 5-6oz. 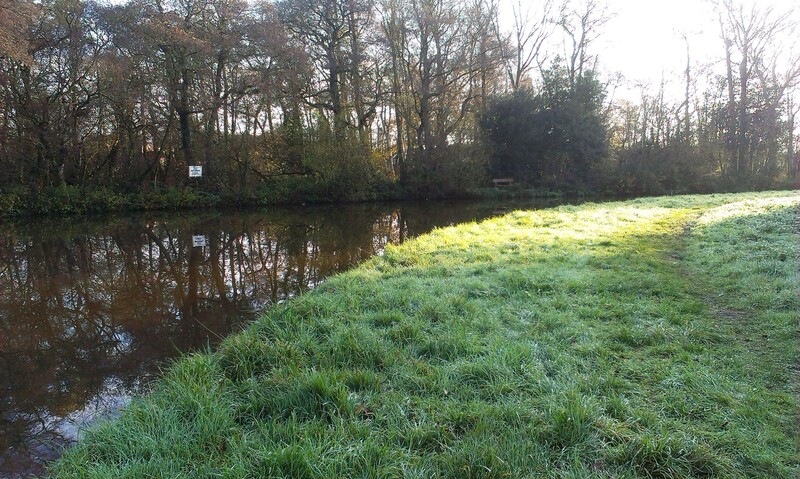 I think I may return to the area again next week but to another swim in the opposite direction from the access point – and hopefully have fewer annoyances to contend with – and less grass floating on the canal too which was also an annoyance as it drifted into and onto the line. I’m unable to fish Friday or Saturday this week but hoping to get out piking on Sunday. 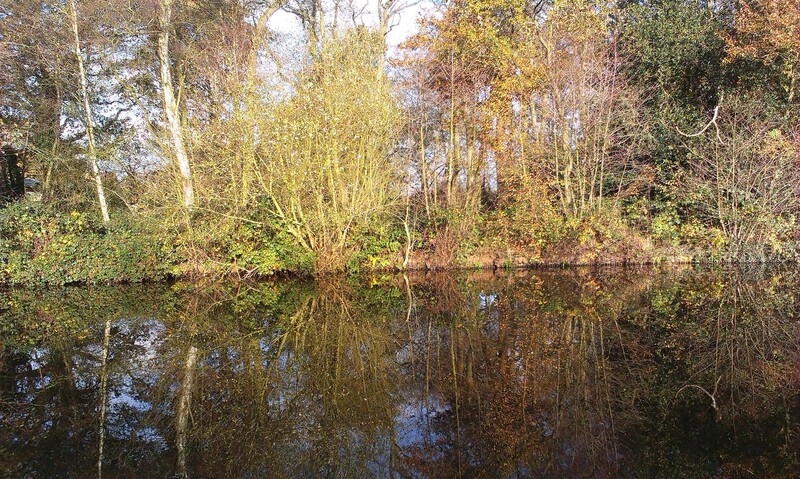 Sunday 16th November and its back to Pike Pool 1…. On arrival, at this time of year, my first ‘task’ is to drop the thermometer’s probe into the water in order for the readings to settle down before my first actual recording is made – and as that is done after the casting in of the last rod in use, and that I also set up unhooking mats, scales, unhooking tools, landing net, etc, prep and throw out groundbait and generally housekeep my station so that everything is ready and in its place before even tackling up the rods, that can be an hour or more after the probe is wetted … And on this session all followed the usual pace… and on throwing the probe in I saw that the temp was around 10-11C in both water and air… BUT when I went to take my first reading to record it – air temp was showing at around 10C but water was showing as 52C! Obviously not right… so I pulled in the probe and waved it around and temp changed a decimal point or so, holding in a clenched fist caused a quick rise of temp but still 50+C… OK… so I checked the probe and noted a gap between the wire and plastic covering of the probe so thought that water had ingressed and shorted across electronic connections giving wrong signals back to the main display unit. So, anyway, with the thermo out of action I hung the probe over a bush in a manner that water would drain away. And so, five hours later, I’m packing up and the thermo is still showing 50+C as the ‘OUT’ temp (probe).. wave it around… no change. Reset it, no difference. So I drop the whole thermo, body and probe, into the small zip lock bag I use to carry it and protect it from rain in use and place that in a pocket of my rucksack and head back to the car and home.. Arriving home 40-45 mins later, I get out said thermo to place on the radiator to dry – but looking at the display as I take it out the bag I notice both ‘IN’ and ‘OUT’ are registering the same and CORRECT temps of around 12C!! WHAT GOES ON!? Its had five hours hanging in an orientation to aid draining of any water and in a breeze and that made no difference BUT 40 mins later having been in a sealed plastic bag inside a closed rucksack pocket all is well??? DOHHH!!! Later I was thinking that if the temp was displaying in deg F rather than deg C then the temp would actually be about right BUT the air temp was displaying in C and the display also indicated that the water temp was in deg C… The display can be set to show as deg F but the setting of units used affects both IN and OUT ie both as deg C or both as deg F.
Anyway, I’ve now sealed the casing/wire gap with Araldite – see if that makes a difference when I visit the canal tomorrow. 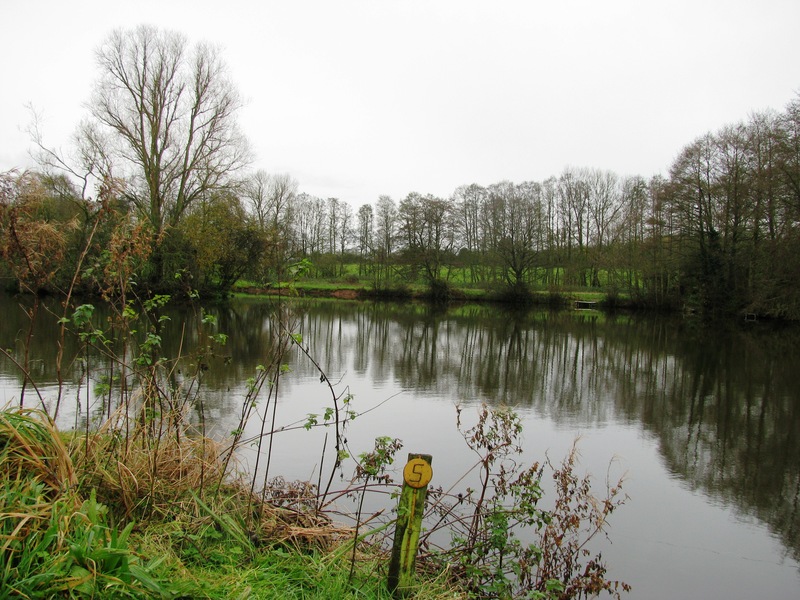 As for the fishing itself – 5 hours of legering a popped-up tail half of a trout and floatfishing a Xmas Tree of sprats – and not one touch. 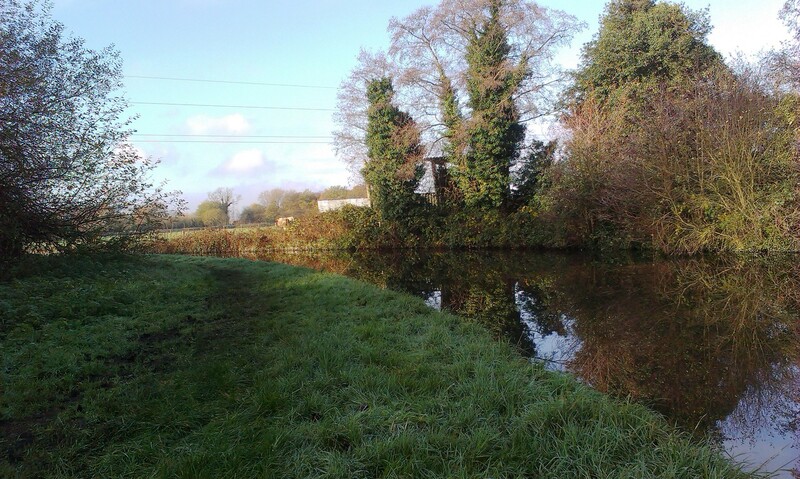 Tuesday 18th – on the Staffs-Worcs Canal with maggot and worm. 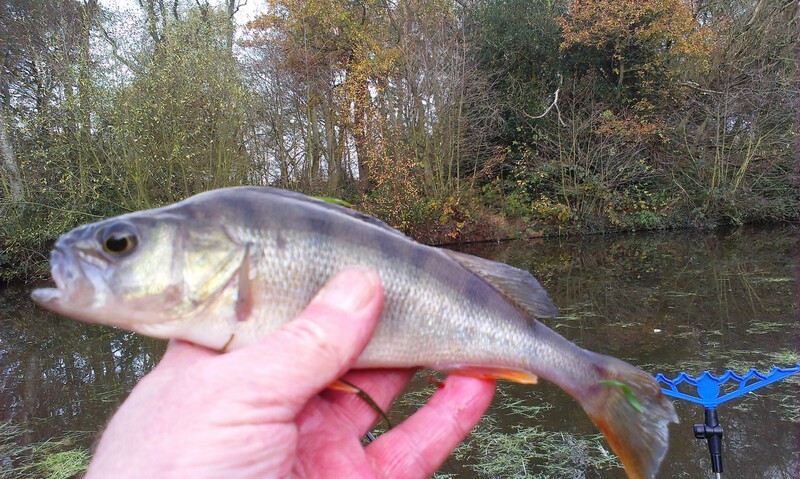 Today, Tuesday 11th November, saw a later than usual start of the day for a short lure session on the Staffs-Worcs Canal with me leaving the house at 0900 and arriving at the stretch I was fishing for the day around thirty minutes later. 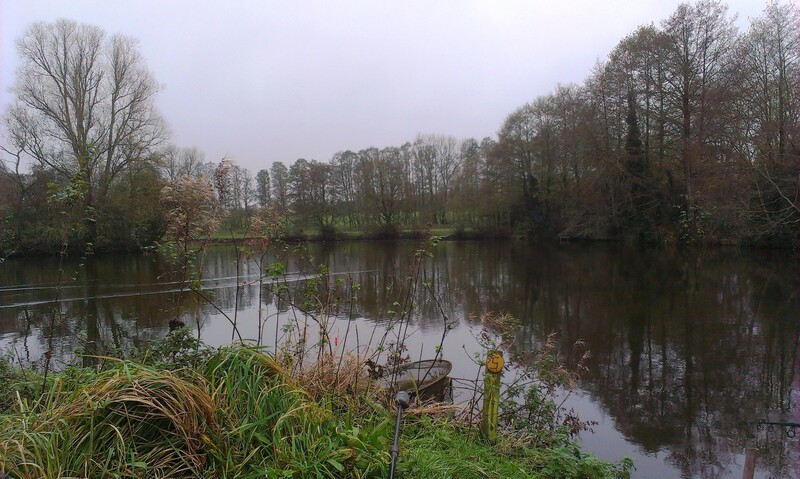 The weather was not the best – a bit gusty at times with droplets of rain in the air but it felt quite mild – however, I did wear some of my thermals and luring is an active method of fishing and so you are generally on the move all day. 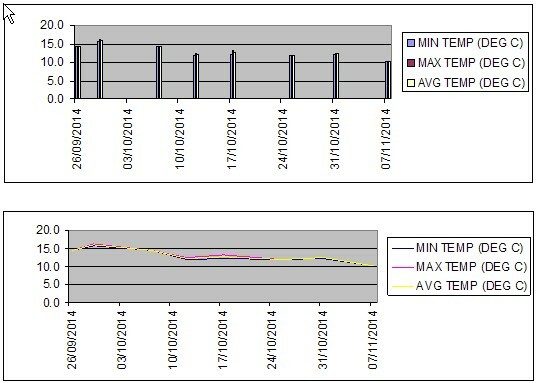 Temperatures were not recorded due to the rain of Friday’s trip having killed my thermometer – one of the display digits is missing 4 segments and with the thermometer and its external sensor together there is a discrepancy of 4C between the displayed internal/external temps when they should be showing the same. The thermometer problem has since been resolved with the acquisition of a new one this afternoon. See the end of this posting for info on that. Tackle was my trusty 9’, 10-40g rated, spinning rod with 12lb braid main line and 6” 25lb BS wire trace. Note, when lure fishing its ALWAYS advisable to use a wire trace even on waters where pike are unknown or are a rarity – you never know what may take the bait! At this point, with the skies greying over further, I decided to go directly up to the limit of the fishing rights and then work my way back as this furthest point is a large intersection between canals which creates a small ‘pool’ area – and I have had pike from this area previously – and thus the area I most wanted to have a go at. And so, on reaching this area I attached a 13cm fluoro-yellow Savage Gear Soft 4Play lure in a red scull lip and started casting around … and eventually, after about 15 minutes, after one retrieve and just as I was lifting the lure from the water a pike of about 5lb appeared behind it but turned and disappeared. Further casting for 5-10 minutes did not elicit further response, so I decided to ‘rest’ the water and have a cuppa from the flask for a short while and whilst doing this I also switched the lure body to one of similar size but of a mackerel pattern. 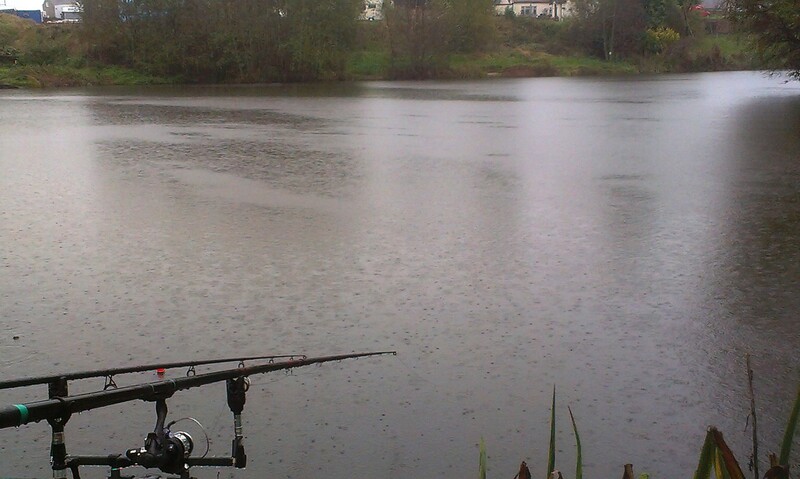 Another 10 minutes of casting followed and then, as the skies greyed even more and the wind-borne rain droplets became actual light rain I decided it was time to call it a day. So I finally spent around 2 hours on the water in total and only had the one follow to report. 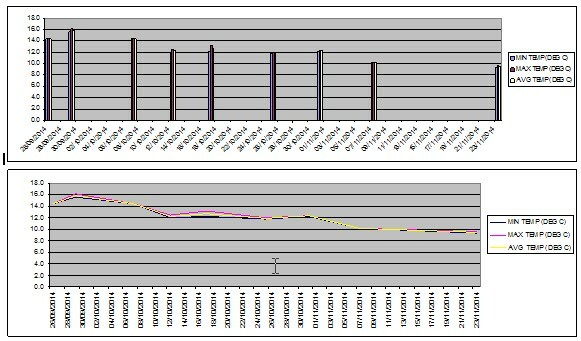 .. which I had liked very much for its features… (a) internal/external temp display (b) clock display is handy (c) records max/min temps over a period and is resettable manually or automatically and (d) has a long 3 metre lead to the external sensor, a must have for fishing purposes, I find. And best of all… when I bought my first one it was £9.99… but now, as I think they are deemed clearance items they are being sold at only £1 each. So I decided I’d get 3 at that price as a couple of spares would not go amiss with my history of dropping them in the water, standing on them and generally destroying them … However, they were not in stock in my local store… BUT you could order online as a’Click’n’Collect’ item ie buy online and have delivered to your nearest store at no extra charge for you to pick up… which I did.. and I picked them up this afternoon. Can also have Home Delivery but for orders under £10 total there is a £2.99 shipping fee (free over £10). But, £3.99 is still a good price? 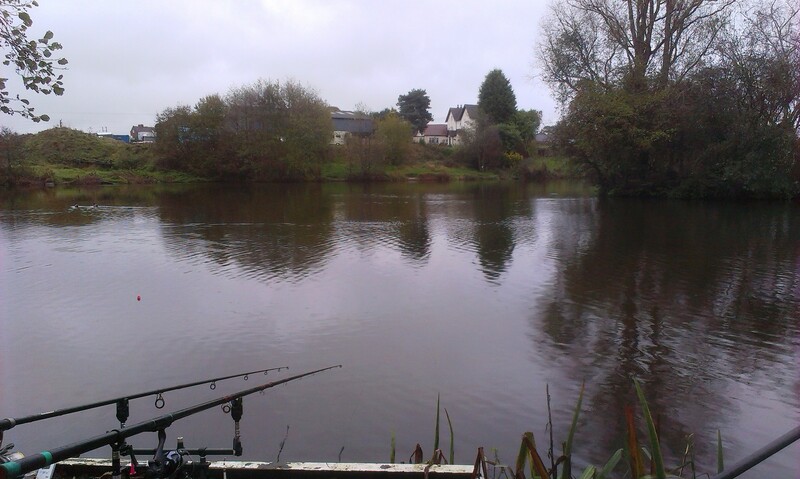 Awoke to the alarm clock at 0530, looked out at a drizzly morning – and went and got dressed for my usual day’s fishing. 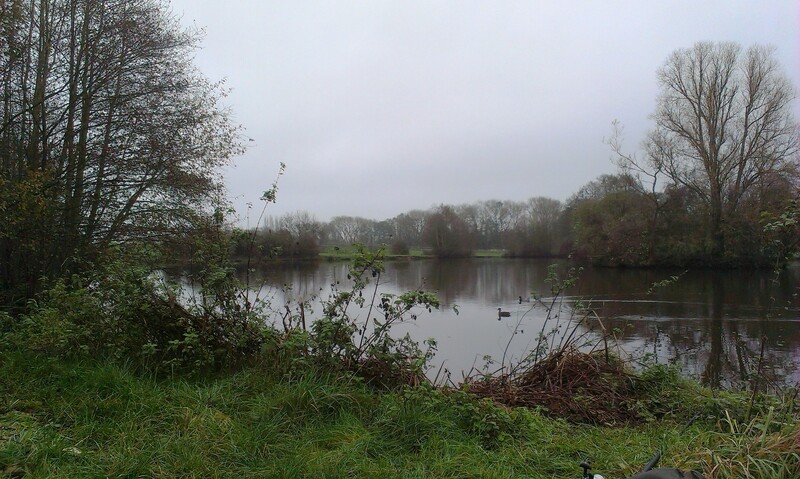 Made flask, packed baits and butties, had a bite of breakfast and a mug of coffee and put the last of the equipment and sundries in the car – most of it (rods, barrow, tackle bags, seat, etc) already having been placed in there the previous evening. So the swim was actually situated in a nice looking corner with water at my feet of around 4.5’ deep sloping down to 12’ and then levelling out and up to another 28’ deep drop. Next operation was to bait up the swim with a ruby-dubby concoction comprising of bread crumb, lamprey oil, cod liver oil, blitzed sardine/herring/mackerel/sprat with larger strips of raw hake, and then fishmeal/bone/blood fertiliser added too. This mix was spread around the area I was to fish as an attractant. And that was how things remained until the clouds cleared and the sky took on a golden glow and I started to pack down for the day at 1600. Not one ‘proper’ bite although there was *something* playing with my legered/pooped-up herring…. See: https://www.youtube.com/watch?v=DeTswEnFfKI&feature=youtu.be … an eel? Small fish tugging at the entrails in the burst throat/belly of the bait? As Mavis would say, ‘I don’t rear-ly know’ :D.
So now, a day later, I’m back home – unloaded the car earlier and most of the gear is now in the front room drying out with the thermometer on the radiator. When I got home the first thing I needed was a soak in a hot bath so tackle unloading was postponed to this morning. 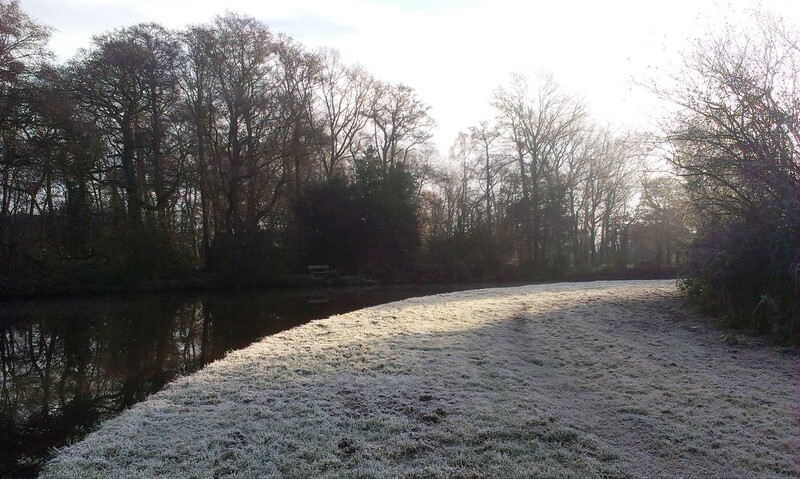 Tuesday, back to the canal most probably.